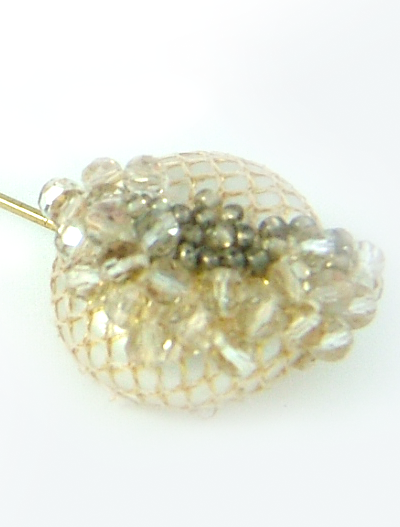 Unique decorative flat backed pins with delicate hand embellishment, wrapped pearl feature and hand beaded detail incorporating a mixture of tinted cut glass crystals and metallic lined seed beads. Unique decorative flat backed pins with delicate hand embellishment, wrapped pearl feature and hand beaded detail incorporating a mixture of tinted cut glass crystals and metallic lined seed beads. Great little gift or accessory for a favourite jacket. 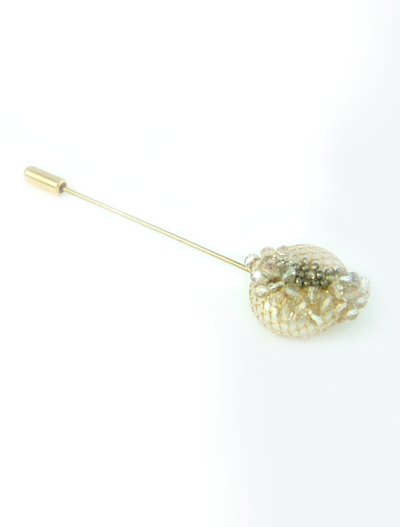 Available in gold or silver fastenings. 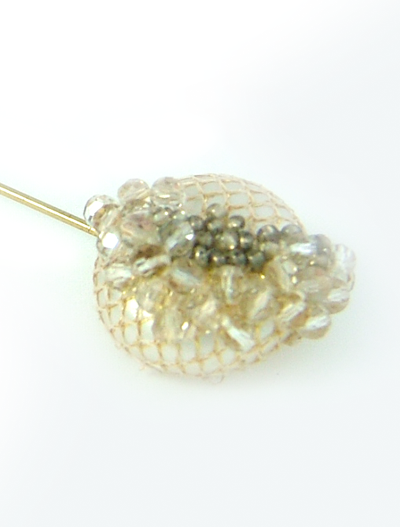 Materials: Soft Net Tulle, Glass Pearls, Glass Beading, Crystals and Stainless Steel Pin (note these pins may contain nickel or brass coatings). Dimensions: 8 cm length x 2 cm head diameter (measurements are approximate only). Also available with silver coloured steel fastening.